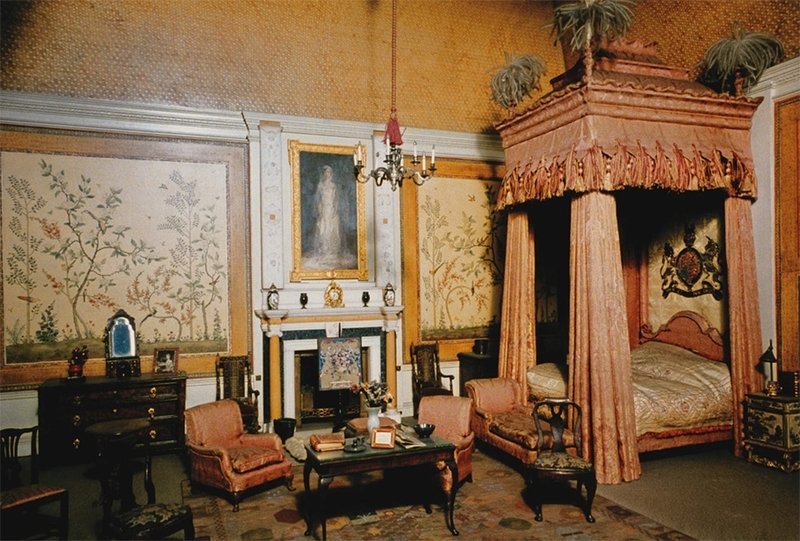 The amazing dolls’ house belonging to Queen Mary (b. 1867 – d. 1953) was designed by Sir Edwin Lutyens, a well-known architect of the time, and was the idea of the queen’s cousin, Princess Marie Louise. It was completed in 1924 and was given to the queen as a gift from the people and as a historical record of how a Royal Household of the time would have lived. Princess Marie Louise had many connections in the arts and arranged for the top artists and craftsmen of the time to contribute to the house. It therefore contains many wonderful pieces of craft work, which were made specially for the dolls house. 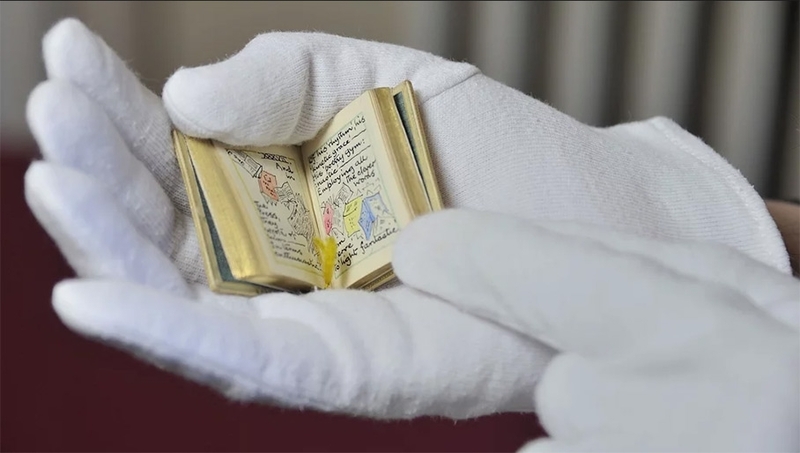 These include miniature books which were written specially for the queen and were bound to scale by a well-established bookbinders, handmade carpets and curtains which were replicas of ones within Windsor Castle and monogramed linen. The house also included real plumbed bathrooms, working electric lights and a garage of cars with working engines. 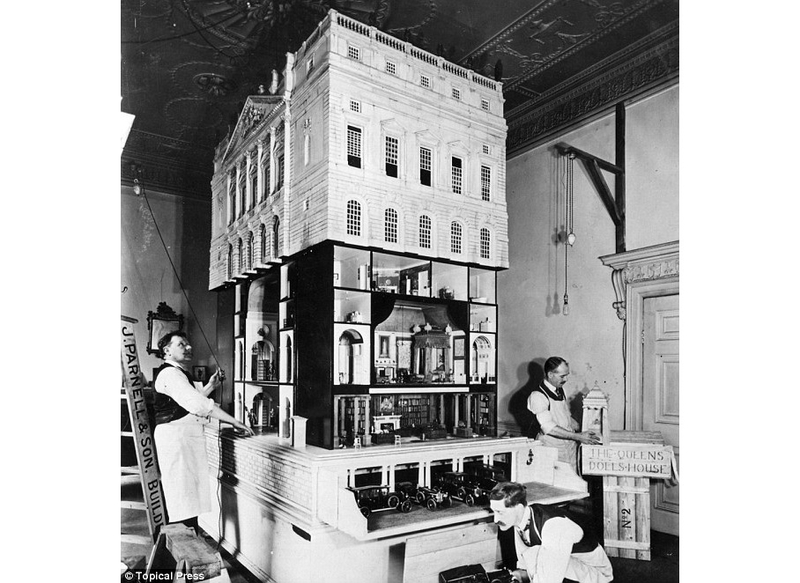 The dolls’ house would go on to be put on display to raise money for charities that the queen supported. You can still see the house for yourself today on display at Windsor Castle. Here are some photographs we have gathered together. Enjoy! 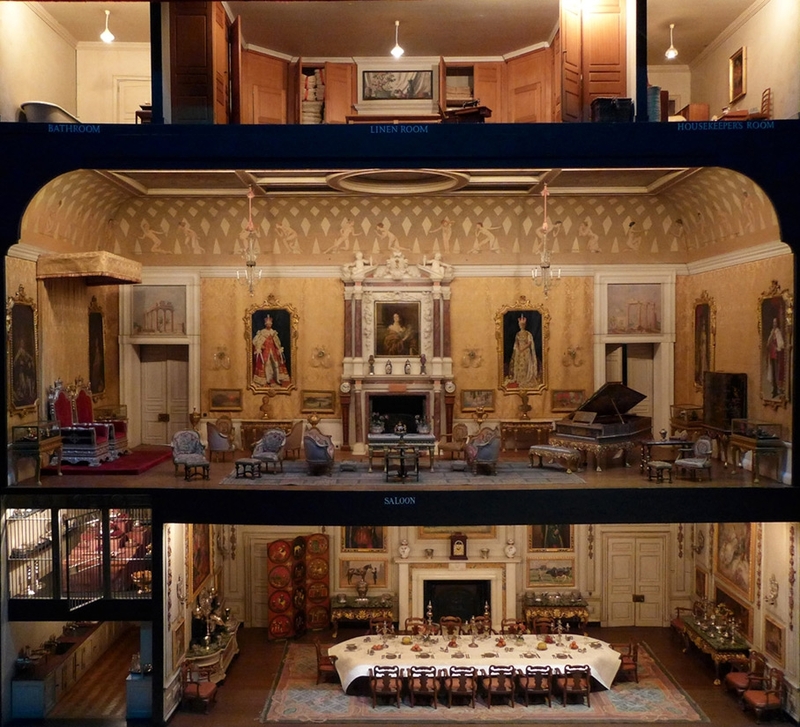 Enjoy some of the fabulous miniatures originally commissioned from the most prestigious artisans in 1924 for The Queen’s Dolls' House, which is on display at Windsor Castle and visited by thousands every year. 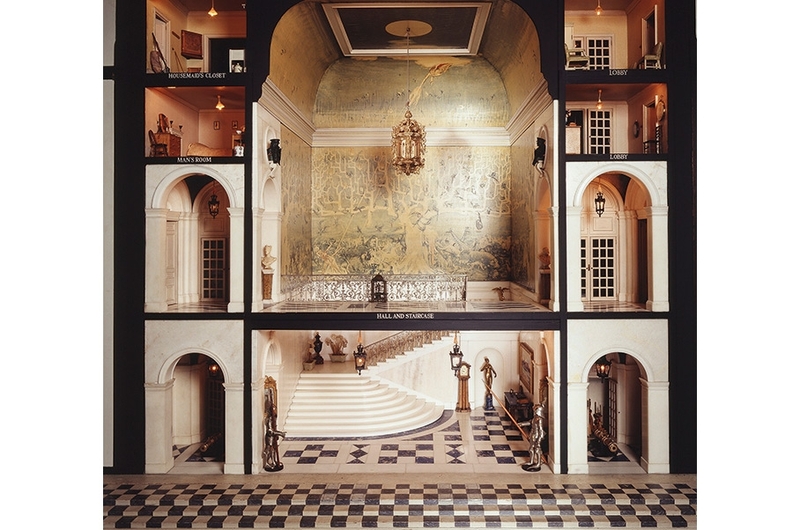 Designed for Queen Mary by Sir Edwin Lutyens, the 1:12 scale dolls' house stands 8ft 5ins wide, 4ft 8ins deep and 5ft high and features all the comforts required in a stately home of the period, with a few regal extras such as the strong room for the crown jewels. Save £141 on the complete room display - now just £449! Plus each individual item is available separately. Check our website for details. The Queen's Dolls' House Collection - special offer for Christmas! We can now bring you an extra-special Christmas purchase price for complete miniature Queen’s Bedroom set, which is NOW £449 – which is a generous 24% OFF with postage included. 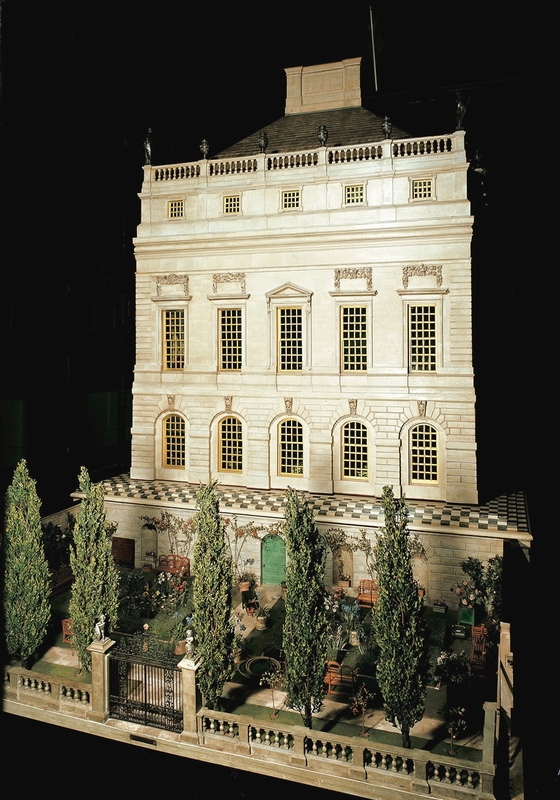 The Queen's Dolls' House Collection is a stunningly well detailed, high-quality collection of miniatures. The pieces are replicas of items actually found in the Queen's Dolls' House at Windsor Castle and we are delighted to be the exclusive producers of this range. You can enjoy the complete collection right now buy quoting part QDHBSET and receive 24% OFF, it's such a steal it might get us sent to the tower. If you already have some of the items and would like to purchase the 5988 Diorama to store them in, it is now on sale with 20% OFF – at £60. Queen’s fireplace – new shipment now available! 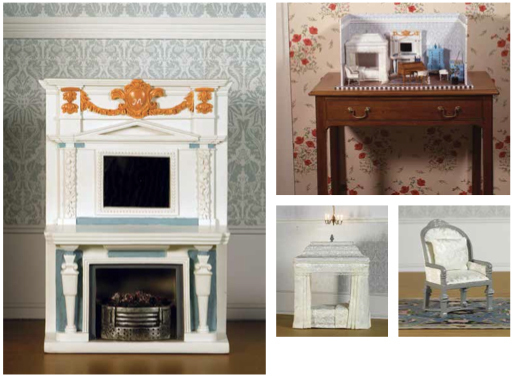 Great news if you’re a fan of the exclusive Queen’s Dolls’ House Collection: (5955) The Queen’s Fireplace is back, built to a new specification and available to buy. It forms part of the first collection of miniature masterpieces from The Queen’s Dolls’ House which is on display at Windsor Castle. 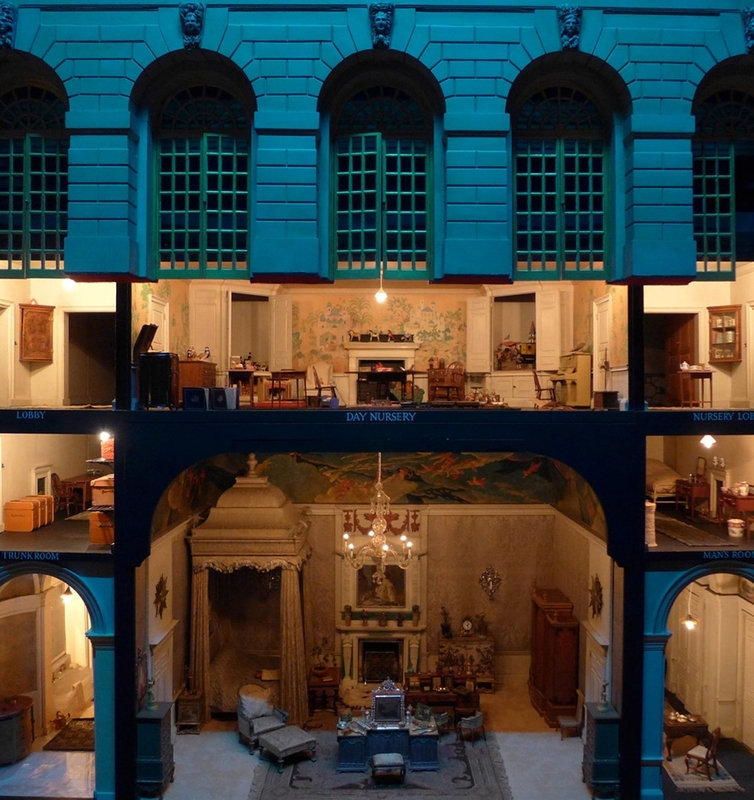 These hand-made masterpieces from The Queen’s Bedroom lend themselves to being displayed on their own, in groups or in the bedroom diorama setting. 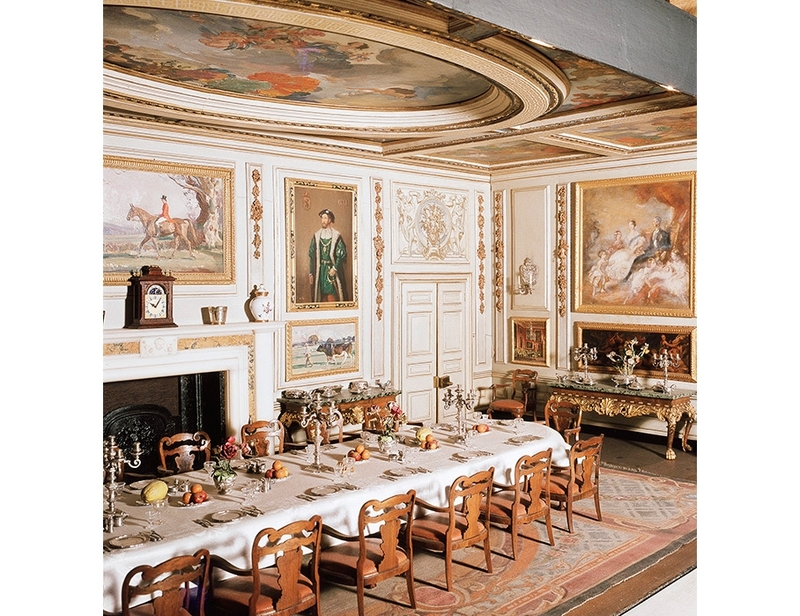 The original fireplace and mantelpiece itself was Lutyens-designed. 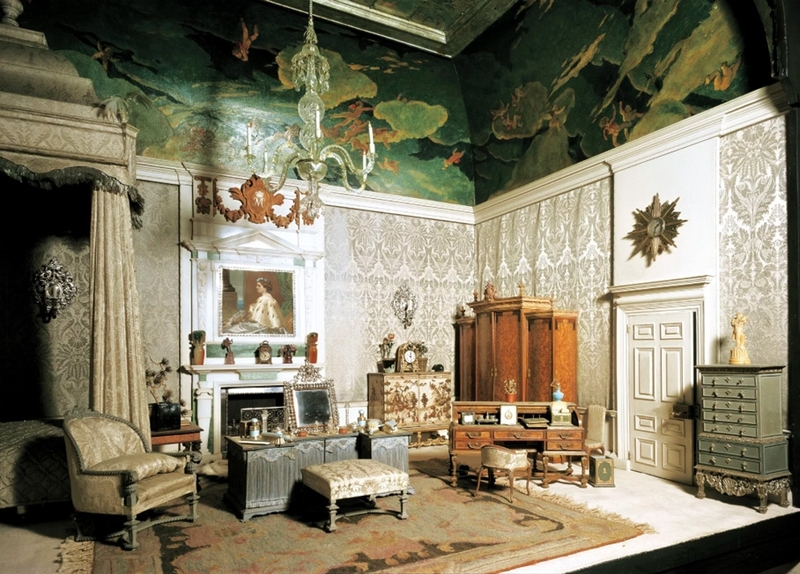 The lines and features of the fireplace echo some of the grand classical features of the exterior of the dolls’ house in Windsor Castle and key features on the original mantel are picked out in Jade stone. In fact, the grandeur of the bedroom is epitomised in this floor-to-ceiling fireplace and mantelpiece. Probably the most formidable piece in room, it never becomes the centre of attention. Originally made from marble, its stark white finish was softened by the delicate colours of the inset jade. Our recreation, hand-built in wood, is brought to you by permission of Her Majesty The Queen, under licence from The Royal Collection. Visit dollshouse.co.uk/QDH to enjoy the whole collection – and the story behind it – online, and whether you simply wish to own a piece of British royal heritage, or acquire an exquisite addition to an existing dolls’ house collection, this is a unique opportunity to purchase a beautifully-detailed miniature of the highest quality. 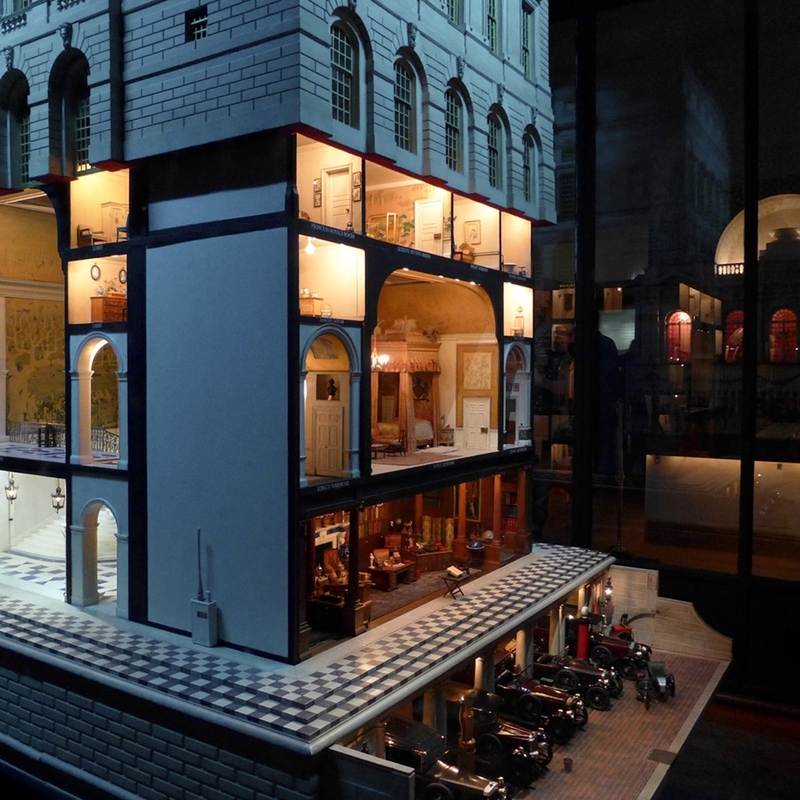 Can you spot the Dolls House Emporium miniatures? We were very pleased to see some of our miniatures used in a recent photoshoot by US reality TV personality Martyn Lawrence Bullard, as part of LA's 2013 Designer Dollhouse Showcase. 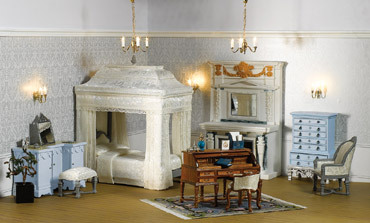 If you look carefully at the dolls house images online, you can see Dolls House Emporium items in the first two images. 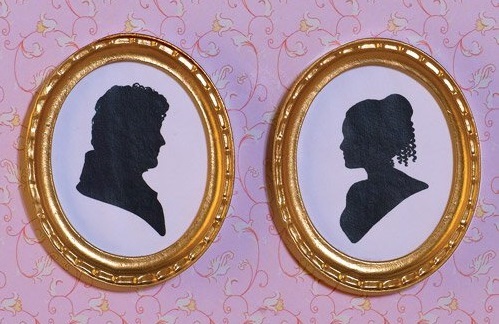 In the first is our commemorative Elizabeth Bennet and Darcy silhouette pictures in their gold oval frames. 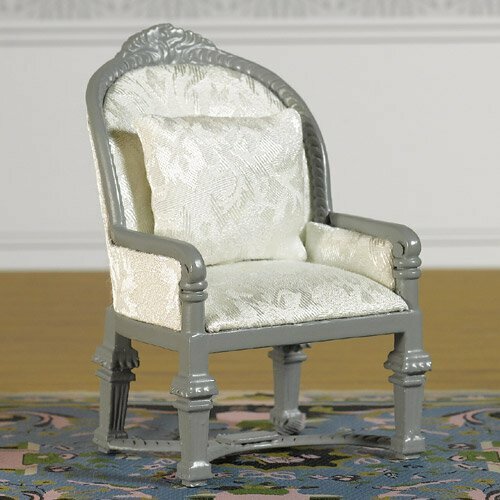 And in the second picture, our damask upholstered armchair from The Queen's Dolls' House Collection takes pride of place.